In shipping, salvage drums play a very important role to ensure the content of the shipped goods arrive as it is. 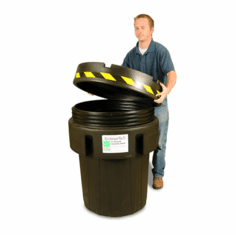 We never really know when a drum is leaking, damaged or defected during shipping, or even before it is sent to ship. What we know is the receiving end won�t be happy with the delivery and business can possibly go bad, especially if you are sending hazmat material. Therefore, you will most likely need salvage drums. 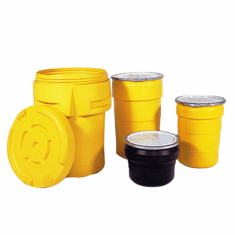 These plastic salvage drums function as direct containers or overpack ones to shield normal barrels. 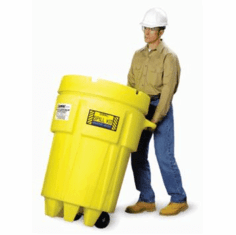 Constructed of 100% UV-protected polyethylene, the plastic overpacks are ultimately strong and they do a great job to protect leaking or damaged drums containing hazardous materials. 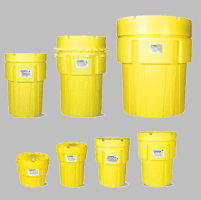 All the salvage drums below have met Group 1 Packaging Standards from the Department of Transportation (DOT) and available in various sizes from 20 gallon to 110 gallon. 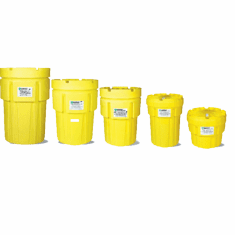 Choices come in normal plastic salvage drums � good for both regular and hazmat goods, wheeled salvage barrels � best as spill kits containers, and ultratech plastic salvage drums � similar to plastic salvage drums but with twist-off covers that can be used for emergency response and direct containment of hazmat solids. If you think your business could use a hand of one of these great overpacks, contact us for further assistance.